In this episode we are joined by Wallace scholar Lucas Thompson. 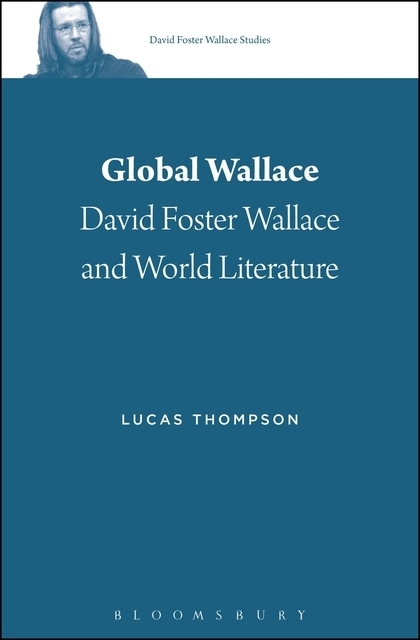 Lucas Thompson is the author of the new book Global Wallace (Bloomsbury) which is the first volume in a new series called "David Foster Wallace Studies" edited by Stephen Burn. Global Wallace centers around the often overlooked sources of influence on Wallace's work. Thompson explores Wallace's connection and borrowing from Manuel Puig, Dostoevsky, hip hop culture, and many others. Thompson is a Research Fellow at the United States Studies Centre at the University of Sydney, Australia. He has published articles in Texas Studies in Literature and Language, Journal of American Studies, The Cormac McCarthy Journal, and Critique: Studies in Contemporary Fiction. Forthcoming book chapters appear in The Cambridge Companion to David Foster Wallace, MLA Approaches to Teaching: David Foster Wallace, and MLA Approaches to Teaching: Jewish American Fiction. His reviews have appeared in US Studies Online, The European Legacy, and Philament, and he has also written for The LA Review of Books.